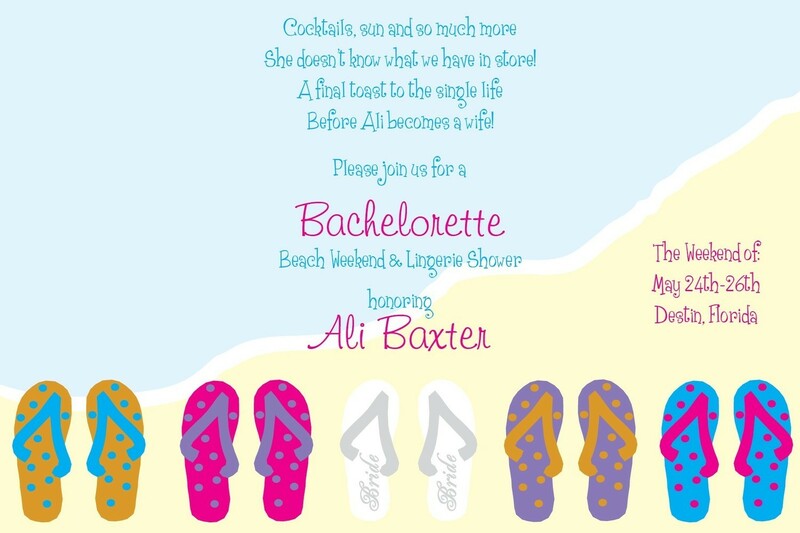 I was recently enlisted by a close girlfriend to help plan a bachelorette beach bash for the upcoming spring. Though vastly unseasonal I figured it would be a good time to make note of some tips and inspirations during the early stages of planning. As I always try to instill in the minds of fellow friends and planners do your best to encourage a commitment from all of those who are invited. It is immensely difficult to budget when you do not have everyone on board. Also inviting 25 guests on an out-of-town trip is not only a major pain to plan for, but makes it nearly impossible to keep tabs on that large of a guest list. I am a strong believer in keeping your bachelorette party down to a smaller, more manageable size. This way everyone can enjoy themselves and it makes it easier for those who are executing the planning. When booking an out-of-town venue, hotel, house, condo- whatever it may be knowing the approximate number of attendees makes it that much simpler to budget, book, and follow through with all the little details. 1. Destin, FL. 2. Charleston, SC 3.Gulf Shores, AL. 4. Miami, FL 5. Daytona Beach, FL. As far as favors go it is always nice treat your friends with a little “thank you for coming” gift. By no means does it have to be anything expensive, however it is always a nice gesture to show your guests that you are appreciative of them being there to celebrate with you. 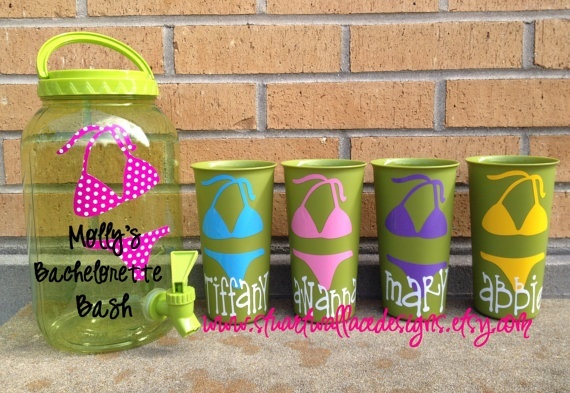 Here are a couple of cute, affordable ideas that can be easily duplicated and used as gifts. You can find adorable towels for as cheap as $4 at any local Wal-Mart, Target, etc. Usually monogramming is fairly inexpensive depending on where you go, but if the idea of full named doesn’t appease, you can always do a single letter. 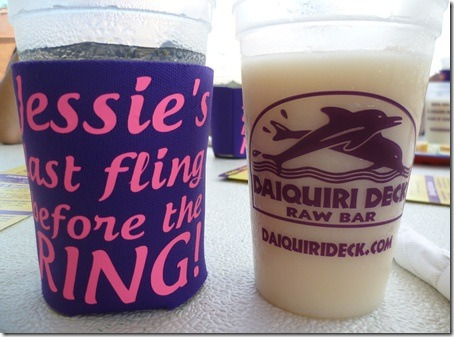 I love, love, love koozies for a bachelorette party gift and they are so appropriate for a beach weekend. Not only are the extremely cheap to order and personalize, but they also last and can be used 100 times. 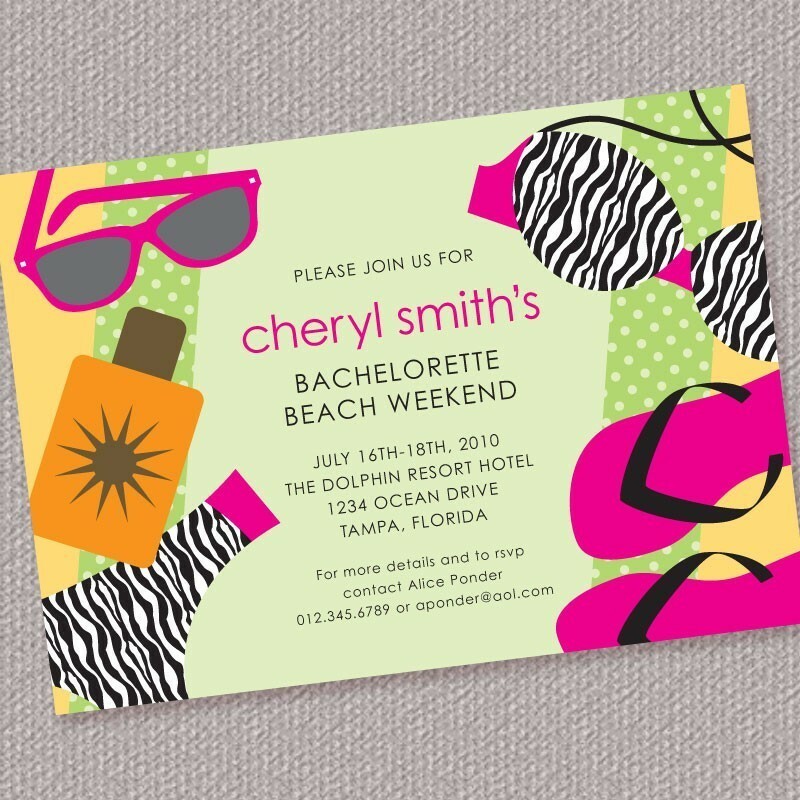 Such a perfect keepsake for a weekend you and your girls will not surely soon forget.